You don’t have to be rich or be a celebrity to have a perfect smile. Doctor Leonardo Lee is a respected dentist — and for good reason. His educational credentials, list of honors and awards, accomplishments, and professional affiliations are quite remarkable, but there is much more to Doctor Lee than just a glittering list of accomplishments. Doctor Lee’s accolades come from his patients’ respect for the quality care and his friendly manner. He believes in developing long-term relationships by treating all of his patients as if they were friends and family. He takes pride in spending time with his patients by explaining their needs and treatment in detail. Doctor Lee utilizes optimal dental techniques and materials to achieve the best possible aesthetics and comfort, and continues to devote endless hours in continuing to educate himself about the most current techniques of long-term dentistry. This means you can be assured in knowing that your dental treatment will feel as great as it looks. You can be confident that Doctor Lee will select the treatment that is just right for you and your family, and your dentistry will provide you with a long-lasting, healthy smile. 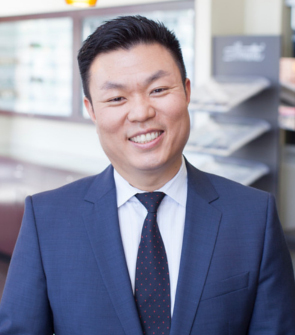 Doctor Leonardo Lee is a a graduate of New York University and received his Doctorate of Dental Medicine from Temple University School of Dentistry. He has also attended the world-renowned Las Vegas Institute for Advanced Dental Studies for Cosmetic Dentistry and Scottsdale Center for Dentistry, and belongs to the local Spear Education Study Club. 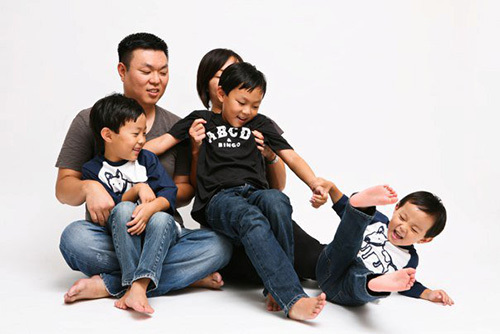 Doctor Lee focuses on all phases of dentistry, and he is passionate about taking care of all the dental needs of your family. Doctor Lee and his family are residents of Leesburg. He loves spending time with his wife, Lucy and their three boys. In his spare time, he like to cook and try out new recipes from his patients. Fun fact about you: I met Matt Damon and Ben Affleck at my dorm room in NYU before they were famous. Something that makes me smile: Spending time in NYC with my family. What does your profession mean to you: It’s all about helping people. Sometimes it is just about listening and understanding. I learn something every day, with every encounter .